The Ichthyology and Fishing Center (CIR) is situated at the Faculty of Science Sarajevo. 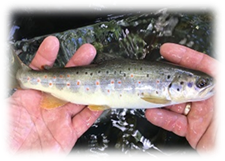 Our research spans a range of studies including fish populations and communities, aquatic habitats, and the biological processes that occur in complex aquatic ecosystems. 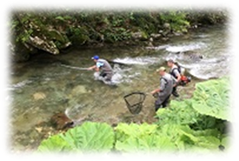 Through intensive field and laboratory research and technical knowledge, we provide necessary information and advice of crucial importance to protect, conserve, and manage aquatic resources of Bosnia and Herzegovina. Aquatic biodiversity forms an important part of our natural heritage and is an essential economic resource.Through its work the Center seeks to better understand aquatic resources and their ecosystems, to assist resource managers in making sound decisions that build sustainable fisheries, recover endangered and threatened species,and sustain healthy ecosystems and habitats in the country. The Ichthyology and Fishing Center (CIR) offers a wide spectrum of expertises which include fisheries management studies, plans for revitalization of fish communities, expertises in the case of ecological accidents, and educative workshops. 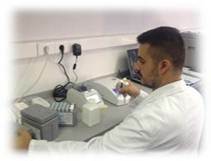 In our laboratories, besides analyses of biological quality elements, we carry out physical - chemical water analyses, microbiological analyses and ecotoxicological analyses.